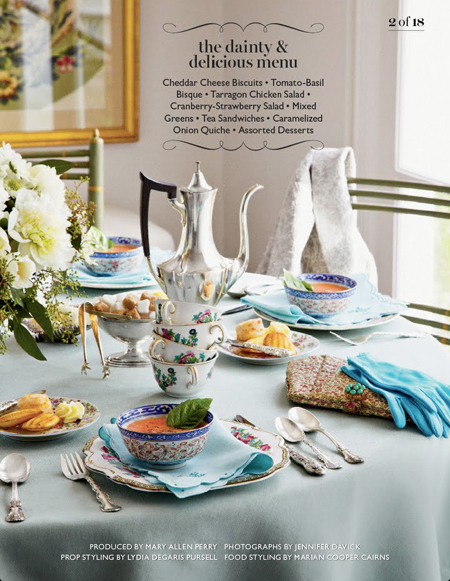 My love of fine china is no secret on this blog. I'm obsessed. But I think my absolute favorite piece of china is a teacup - so delicate, feminine and usually the cornerstone of a pattern. Several years ago, a friend of my mother-in-law's was redoing her dining room and wanted to get rid of a collection of mismatched teacups she had collected over the years - guess who was there to happily take her donation? So I am blessed to have a sweet little collection of cups ranging in pattern and color - thanks, Mary Kay! They are talented and this article should win every magazine award available. 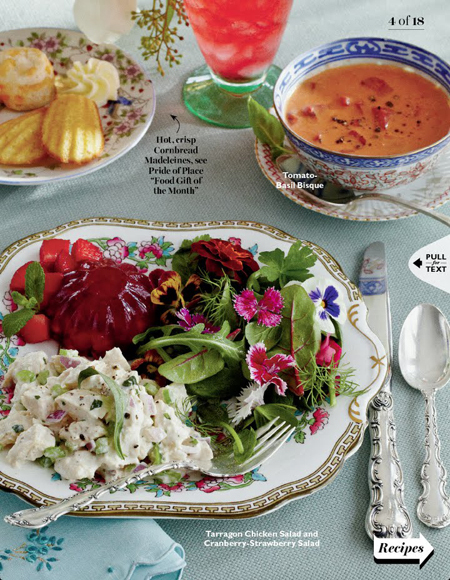 So should the tablesetting spread that was in the December 2011 issue, but I digress. - You don't have to buy a lot set to start a mismatched collection (especially if the set is pricey) - teacups are really easy to find at second-hand shops and flea markets and usually not that expensive. Or consider buying a teacup every time you travel as a souvenir. 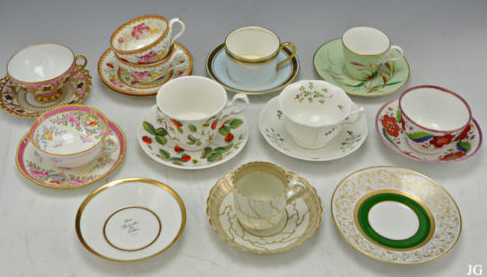 - If you are getting married, register for 12 different teacups. Your guests will think you're a little nuts, but it will create a fun collection and you'll actually remember who gave you each piece because they will all be different. 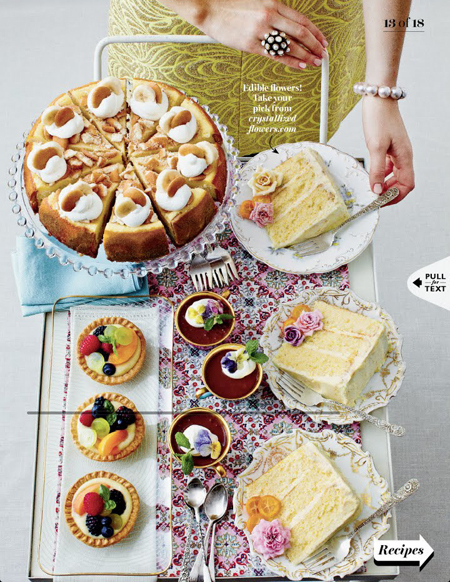 - Next time you have a dinner party, serve dessert and coffee on your bar cart! (Because I'm sure you have one by now) You will look super-swank rolling out to the living room after dinner. Don't even get me started on my feelings about miniature tea sets - thus far, I have shown constraint. But all bets are off if I ever have a daughter. Party on with your tea. 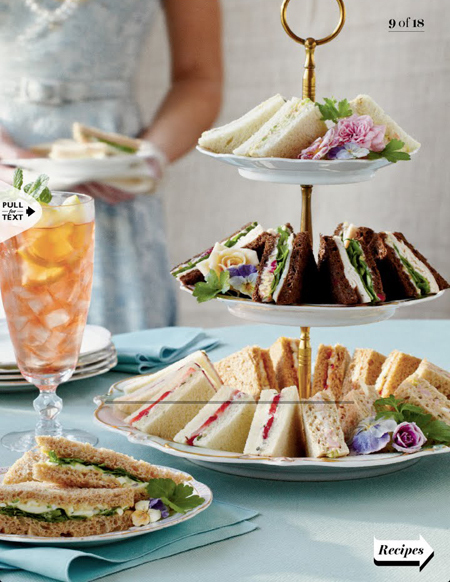 I need to find an excuse to have a tea party. My girls are both too old and too young at this point but I am just right! This is lovely! I had a cup of tea in my Mom's china last night, and love the "clink" of the cup to the saucer! It felt like a treat, and Im going to start using it everyday! Love your tea party goodies! This is making me want to start a collection of teacups now! Not that I have any place to store all of these, but they are just too pretty not to! Your post has me thinking I should add to my modest cup collection AND subscribe to Southern Living! Thanks for the inspiration. 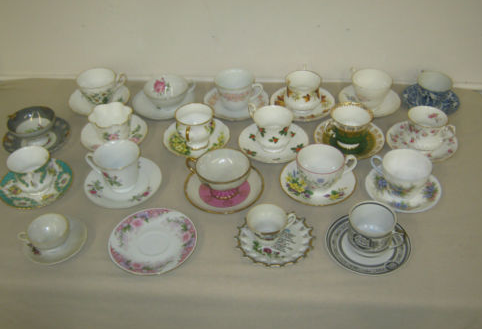 I too share your passion for china tea cups and saucers with a nice, old collection of my own. Except on the rare occasion when I host a tea party, however, they are stored in a cupboard collecting dust because I don't have an artful or practical way of displaying them. Any advice for displaying them when not in use? 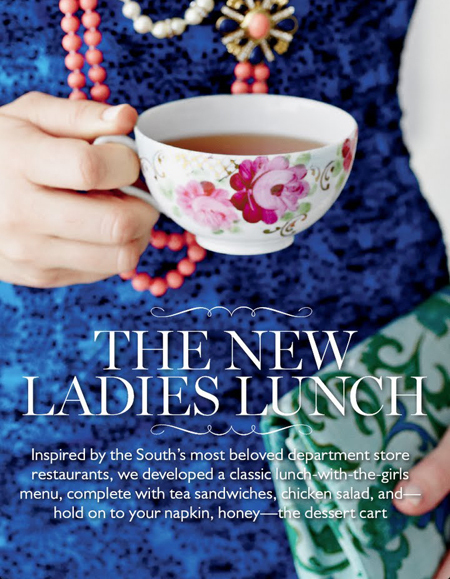 That was a great spread in Southern Living. I have the necklace they show in the first pic (from jcrew) Also - did you see Refinery29 mentioned you in a piece on 15 DC bloggers/pinners? so fun! when you have a daughter I will send you one of our children's tea sets. 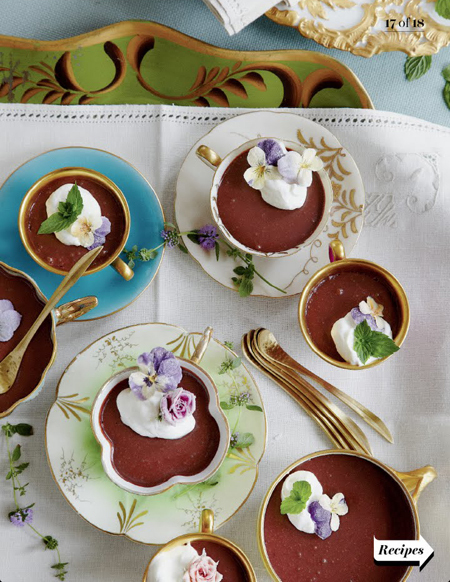 I am so excited because in your round up i spied a strawberry one that whose plate I found at an estate sale. It didn't ever occur to me that a whole place setting could be available. I know what I will be hunting for on ebay tonight! Simple yet attractive and adorable. China Tea Cups have a unique style which give a good effect on our mind. And the cakes; everyone's mouth must have been watered I'm sure.